ReviewEdu is a free online resource containing reviews of edtech products with rigorous ratings that have relevance and meaning to educators. They have an expert team of educationalists to analyze and compare educational offerings across India. And at the core of ReviewEdu is a growing network of teachers who share their expertise with personal reviews and field notes about how they use each product, and what works best with their students. 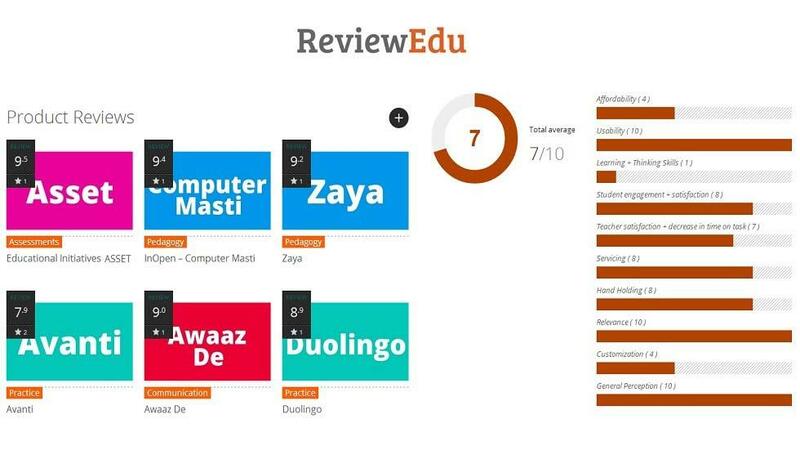 We hope that reviews by ReviewEdu will help you and all teachers embrace technology effectively.